Skin and soft tissue infections, Respiratory tract infections & uncomplicated lower Urinary tract infections. Usual dose; Adult: 1-2 gm daily in single or 02 divided doses, Children: >6 years: 500 mg in 02 divided doses; 1-6 years: 250 mg in 02 divided doses; <1 year: 25-30 mg/kg daily in 02 divided doses. 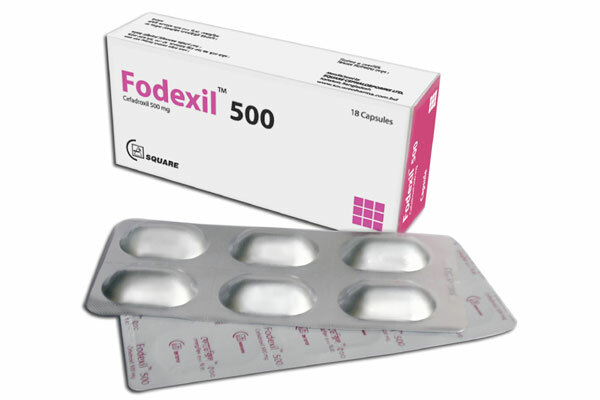 Fodexil™ 500 capsule: Each box contains 18 capsules in blister pack. 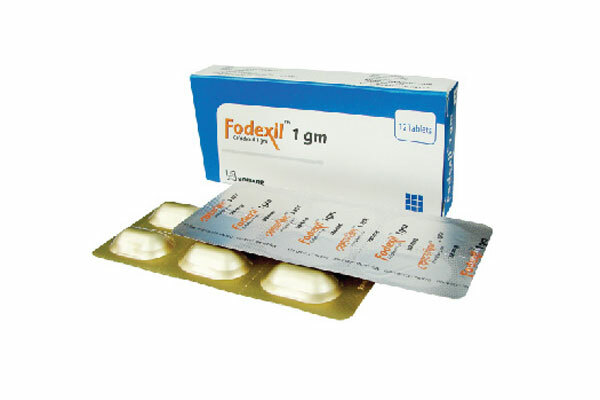 Fodexil™ 1 gm tablet: Each box contains 12 tablets in blister pack.